At Salcido Law Firm, we are always looking for the best and brightest attorneys in their respective practice areas to join our team. We are very particular in the type of attorneys we choose to join our firm. To be an SLF attorney you must be exceptionally bright, creative, aggressive, fearless, and able in the courtroom. You must also be dedicated to exceptional client service. If this sounds like you, please submit your resume to info@salcidolaw.com. 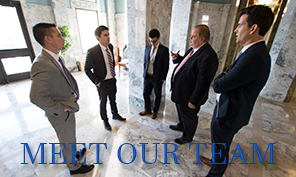 We are interested in partnering with highly skilled and experienced attorneys looking to practice law at the highest level while maintaining control of their schedule and case load. If you are an attorney looking to practice in collaboration with a law firm but are not interested in the “traditional” law firm setting, our Of Counsel solution may be a good fit for you. You can get all of the benefits of practicing with an experienced law firm and none of the headaches of running your own office. Contact us today for more information. info@salcidolaw.com.